"The Kotla is a bat-first wicket with a 62% bias for the defender in the last three editions. It’s been pretty arduous for bowlers first up"
Delhi Capitals are up and running in their quest to reach the play-off for the first time since 2012. They beat the second-favourites Mumbai Indians thanks to a brutal batting show first up when posting 213. Rish Pant, last season's top six-hitter, was the start of the show with an insane 78 from 27 balls, including seven sixes. It looks like he'll top the maximums chart this year, too. He came in at No 5 and with Prithvi Shaw, Shikhar Dhawana, Shreays Iyer and Colin Ingram ahead of him, it's probably the best batting attack in the league. But we were alarmed that the Delhi brains trust decided to leave out Sandeep Lamichhane. Who cares what the wicket was or wasn't doing? Lamichhane should be the first name on the team sheet. He's that good. Ever since their last play-off appearance, Delhi have been poor in the field - rarely do they fail to go big batting first - and yet when they finally get a game-changer with the ball, he doesn't play. Trent Boult, Kagiso Rabada and Keemo Paul were the overseas bowling options ahead of him. Boult went for 11 an over. 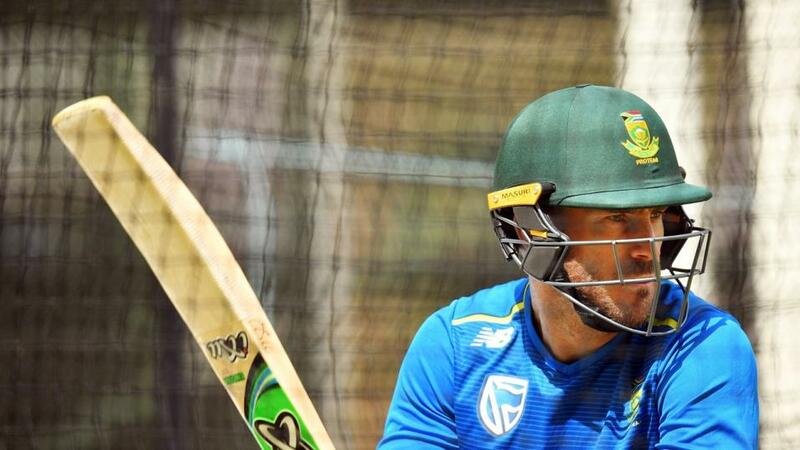 Chris Morris, the South Africa all-rounder, might not be acclimatised after finishing the T20 series against Sri Lanka. Super Kings started where they had left off with a crushing victory over Royal Challengers Bangalore. It was the sort of thumping that Bangalore might not recover from. It will have also served to make CSK hungry for back-to-back titles. Spin was the winner. They had been itching to get back to their dusty Chidambaram home and Harbhajan Singh and Imran Tahir took three wickets each as Bangalore could muster only 70. Whether Chennai pick the same XI has to be in doubt. Will they need three spinners (Ravi Jadeja the other) and the occasional tweak of Suresh Raina again? Probably not and they may be keen to pick their full quot of overseas players with Faf Du Plessis left out. Jadeja might sit this one out with plenty of bowling options. The Kotla is a bat-first wicket with a 62% bias for the defender in the last three editions. It's been pretty arduous for bowlers first up in that study period and a winning score is 170. The average is 174. Get there and you're winning almost 70% of the time. Early odds shows had money struggling to split the pair with Delhi [1.92] and CSK [1.96]. For the obsessives who follow IPL that sort of mark-up will get their goat. On form there is no way Chennai should be in a choice affair - they should be jollies. One swallow doesn't make a summer and although we are very fond of Delhi, it's not right that the market should react this way after just one game. Still, we'd be happy to bet them at that price if we could be sure they were batting first, although we suspect they will be trimmed if they do. As we said, this lot regularly bust 170. But so do Chennai, even if their chase record in the last three years is standing at a bonkers 81%. Thanks to the road-like nature of the surface for the team batting first we'd like to bet Delhi or CSK to bust 170 and we're keeping our finger crossed that [1.80] will be available. Pant will be all the rage at 10/3 for top Delhi bat but Dhawan is the man with the weight of numbers behind him and he is expected to be averaging more per innings in the long run. Dhawan is a fair favourite at 13/5. Shaw is 7/2 and we expect a big tournament from the opener. Du Plessis is going to come into the CSK XI at some stage so the 9/2 (Sportsbook) about a top-bat effort is not a bad shout about him topping. Shane Watson and Ambati Rayudu opened against RCB and they are 13/5 and 11/4 respectively. Lamichhane has the best strike rate of any of his team-mates in T20. So it stands to reason we're keen to get with him for top Delhi bowler. We expect him to be available at around the 7/2 mark with many enthral to the likes of Boult and Rabada. Indian Premier League Betting: Fail to prepare, prepare to flail everyone else?